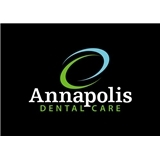 Annapolis Dental Care (Annapolis) - Book Appointment Online! WE CATER TO COWARDS!!! You can rest assured that you will receive the finest, personalized, attention you deserve. Utilizing the latest state of the art techniques in a gentle, caring fashion we will give you the beautiful smile you’ve always wanted. We will listen to your needs and answer all your questions. Our warm, friendly and inviting office offers our patients their total treatment in one location in as few visits as possible. My Dentist fear was erased in minutes. Dr. Steckler has a awesome bedside manner. He explained everything as he went along and made sure you were comfortable and at ease at all times. The receptionist was very friendly and helpful when I needed assistance. I would HIGHLY recommend this practice.